An other breakfast for the girls, this one inspired by planets and stars. 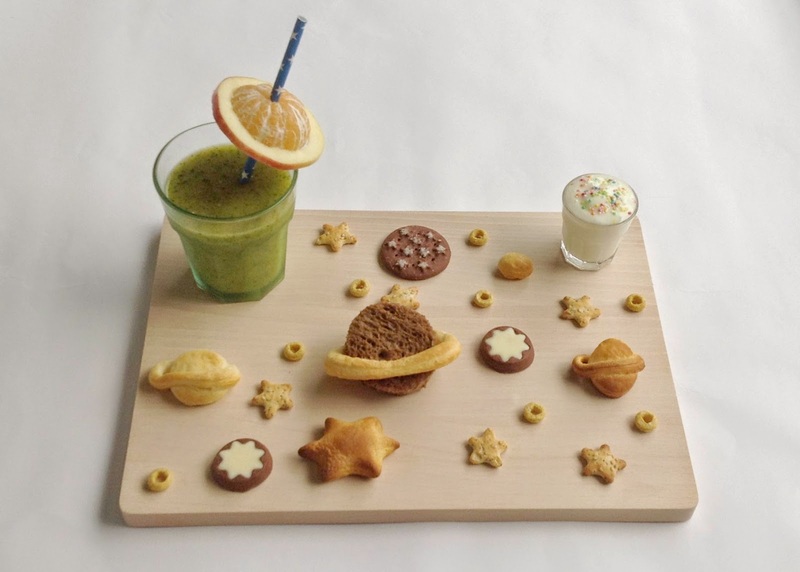 With star cookies and snacks, joghurt with sprinkles, planets made of croissant dough and a green smoothie with a fruit planet. These surprise breakfasts for your girls are wonderful! Such a cool thing to do, and thank you for sharing. As I think I have said before, your girls are lucky to have such a creative mother!